Question: My estate documents use the terms beneficiary and heir. Is there a difference between the two? Answer: The terms beneficiary and heir both refer to someone who receives an inheritance after someone dies. Both are often used interchangeably. But they do not always refer to the same individual or set of individuals. Heirs can be beneficiaries but beneficiaries are not always heirs. The distinction can be important and can impact the planning itself. 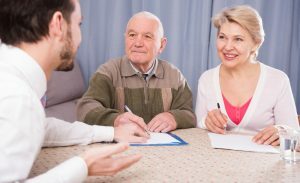 Beneficiaries are those named in a testamentary instrument, such as a Will, trust or beneficiary designation. Beneficiaries can include individual family members, but can also be non-family members, trusts or charities. Heirs are typically those persons that would receive the decedent’s assets if there were no testamentary instruments and in accordance with state intestacy laws. Everyone will have heirs, even if they do not have a spouse or children, because heirs encompasses a large swath of family members. For some decedents, heirs may not be apparent or known if the decedent is not married, has no children, and no parents or siblings. If no beneficiary is designated, certain types of assets like life insurance or retirement plans may pass directly to heirs-at-law or to the decedent’s estate based on the terms of the life insurance contract or plan document. As always, if you have any questions or would like to learn more, please contact Steve Shane at sshane@offitkurman.com or 301.575.0313. 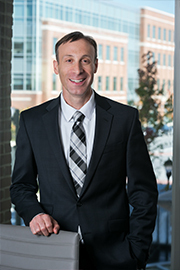 Steve Shane provides strategic counseling to clients in need of estate administration, charitable giving and business continuity planning while minimizing estate, gift, and generation-skipping transfer tax exposure. He offers legal guidance to clients on asset protection and the proper disposition of assets in accordance with the client’s objectives, while employing tax planning techniques such as the use of irrevocable trusts, life insurance planning, lifetime gifts and charitable trust. He is also experienced with drafting documents for business planning, the incorporation and application for exemption for Private Foundations and the administration of decedents’ estates.